With Windows 10 – get the best combination of Windows features you know and new improvements you’ll love. Dell's smallest 13-inch laptop: Your entertainment can go with you everywhere—starting at just 2.67 pounds, the smaller, thinner, lighter XPS 13 is ready for take-off. So perfectly sized for airplane tray tables, you won’t even notice when the passenger in front of you reclines their seat. Work or play all day: You'll experience the longest battery life of any Dell 13-inch laptop—up to 19 hours, 46 minutes6 on an FHD model when using Word or Excel. Faster memory, more storage: Your system boots and resumes in seconds thanks to up to 512GB PCIe of solid-state drive storage. Multi-task in a flash even on intense applications with up to 16GB of memory. 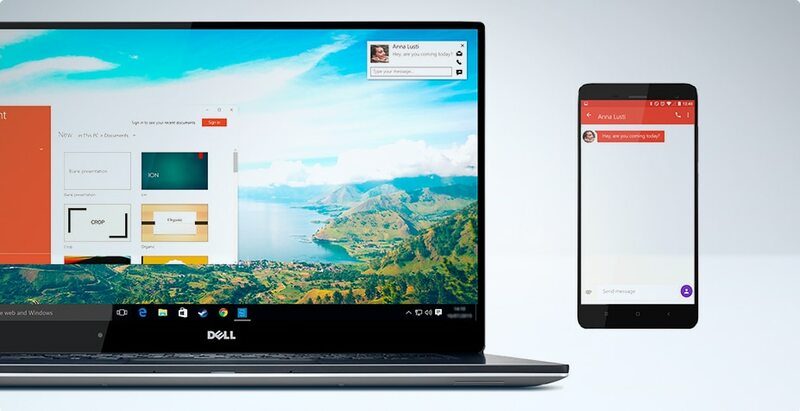 Maintain your privacy: Your phone connects to your PC via Dell Mobile Connect’s point-to-point, secure connection so your data is never exposed via unsecured internet connections.